We are incredibly proud of our growing developer team. We were able to onboard the most technically qualified individuals, and also individuals that are passionate about what OPEN is trying to do. At OPEN we are thrilled by the number of developers in the blockchain industry that knew about our project and were excited to be a part of our team! We are incredibly grateful for the talents that we were able to onboard and wanted to have a blogpost introducing some of our technical leaders. Meet the OPEN Development Team Leads! One of OPEN’s Developer Team Leads, Vadim, had an awesome story about how he came to join their team. This was a letter he wrote addressed to the rest of the community. We hope that you are as excited by his passion as we are! In the meantime I have always been interested in cryptocurrencies. It all began when I started crypto-mining in my garage. I bought a couple of second hand video cards, installed them into an old computer, and started mining my first coins. At that time it was far from the worldwide phenomenon it is now. This is where my “love story” with the crypto world began. Now, as a side hobby, my friends and I are running a small crypto farm to mine ZCash, Ethereum, Monero, Litecoin. We are all in love with the blockchain industry, its mission, and how it can transform the future. I was concerned about the ups and downs of Bitcoin and Ethereum, always followed the news, new tokens, and hoped for the best. I have always been impressed by the decentralization philosophy and algorithms of consensus. I believe this is what will guide the future. Blockchain is a major milestone in the developing the fundamental beliefs of humanity. Once I was scrolling through Twitter when a post from @ICO Analytics called “TOP 10 UPCOMING ICO” caught my eye. The second project on that list was OPEN – it was my first time hearing about the project. I learned about the WP, subscribed to OPEN on Twitter, and joined the Telegram group. The idea of the project was especially appealing to me as a developer in the space. OPEN Platform struck me as a truly crucial project in the crypto world. Luckily I had an opportunity to work in a few Blockchain development projects before and had developed a number of smart contracts for Ethereum professionally. Tedious as it was, I tried to develop and integrate my own payment acceptance systems in Bitcoin, Ethereum, ZCash, overcoming BIP 44 limitation. I am quite familiar with unconventional integration of cryptocurrency acceptance, different approaches, and their drawbacks. Before I found out about OPEN, I had been thinking of ways to implement a reliable, convenient decentralised API for payment acceptance. After having read WP OPEN platform, all the architecture puzzles pieces began to fit in. There was some points I wasn’t totally familiar with, but some other parts made a lot of sense to me. I asked all the questions that worried me in Telegram, in comments to articles, and even sent some by mail, and I was really impressed. I kept thinking how to implement everything in a better way, like how to structure the Consensus Protocol and how to implement Blockchain Load Balancing. Meanwhile, I had heard that there was a Blockchain project that was hiring – but I didn’t know what it was called. But because I was a Blockchain expert and passionate about the space, I was among the first applicants for it. I could not describe all my emotions when I found out that the project was OPEN! While it may sound a little cheesy, I felt like I had a reunion with a friend whom I hadn’t seen for ages. That’s life: everything happens for a reason and what you would have never imagined happening before can come knocking on your door. By that time I had learned everything about the project. The architecture platform contained my amendments that were forwarded by email. We had a lot of work to do: all details had to be sorted out, Smart-Contract codes and API to be read, technical documentation to be developed, the consensus action steps, network interconnection and control units instruction to be implemented, etc. The main target was to create the most reliable, convenient, and decentralised payment acceptance API. The one I had been dreaming about. It seems like the OPEN API is my life long mission that I am carrying out to the world of a new generation. 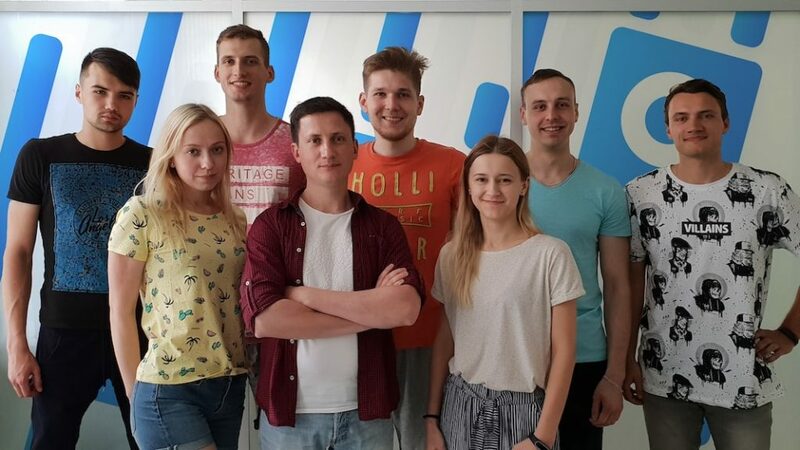 Now our team has grown much larger than when I first started, and OPEN Chain is being actively developed. We have launched a new version of the OPEN API recently and it works phenomenally! Any developer can get a key and integrate payment acceptance in their website, game, e-store, or application. I am truly happy to be an OPEN team member dedicating our victories to the entire Global Community. Everything happens for a reason and dreams can come true.